Tracks 2, 4, 5 & 14 - (P) '85 taken from the album "U Tvojoj Kosi". Tracks 6, 7 & 15 - (P) '86 taken from the album "Ne Bi Te Odbranila Ni Cela Jugoslavija". Tracks 17 &19 - (P) '88 taken from the album "Ja Te Volim Najviše Na Svetu". Tracks 8, 11 & 16 - (P) '89 taken from the album "Volio Bih Da Te Ne Volim". Tracks 3, 12 & 20 - (P) '90 taken from the album "Strah Me Da Te Volim". 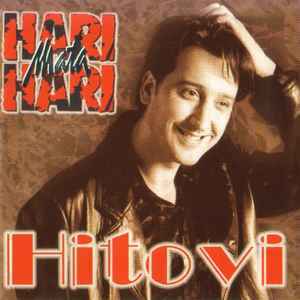 Tracks 9, 10, 13 & 18 - (P) '97 taken from the album "Ja Nemam Snage Da Te Nevolim".